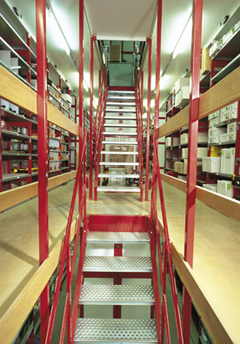 Randstad Ltd operate a very modern highly computerised warehouse facility. Stocking over £1million worth of products available nationwide on a next day delivery basis. The combination of the layout, the technology used to locate stock and the procedures in operation make this department very efficient. Highly trained and well managed staff add to these attributes. As with every other department the staff are customer focussed and they strive to achieve all the quality standards we set ourselves in terms of customer satisfaction. On a daily basis, all orders received by 4pm are dispatched same day. The new site to which we built and opened in 2010 has provided us the ability to more than double the size of the exisiting warehouse facilities as the company continues to grow.